Take a journey through Eastern Wisconsin and the Great Lakes as you learn the Natural History of the Niagara Escarpment. 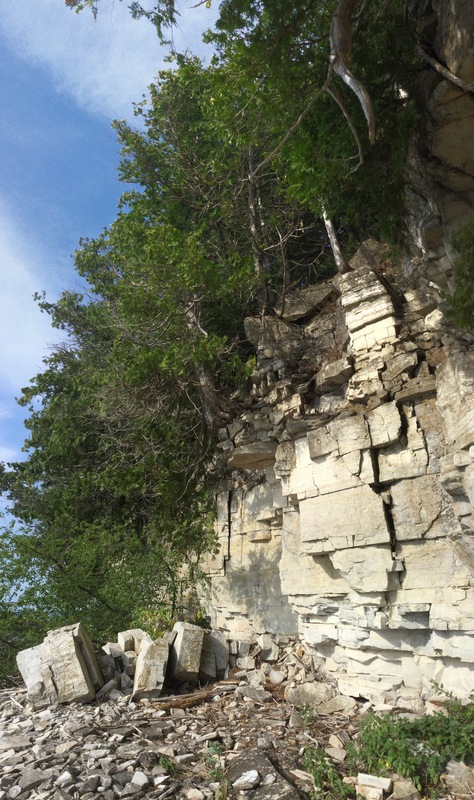 What was it like in Door County 425 million years ago? 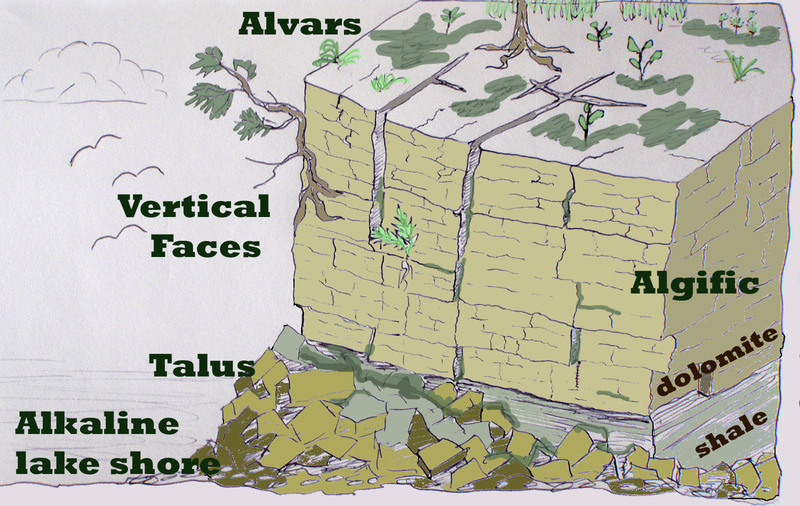 What has gone on in the geologic and biologic past beneath our feet? What are the changes we’re experiencing now? What might the future hold for our land, water, environment and communities?­ “Escarpment” is the natural history story of Eastern Wisconsin and the Niagara Escarpment region of the Great Lakes. The film was shot on location along the entire length of the Niagara Escarpment, with a Door County focus. It is a fast-paced fun voyage through billions of years of Eastern Wisconsin natural history. 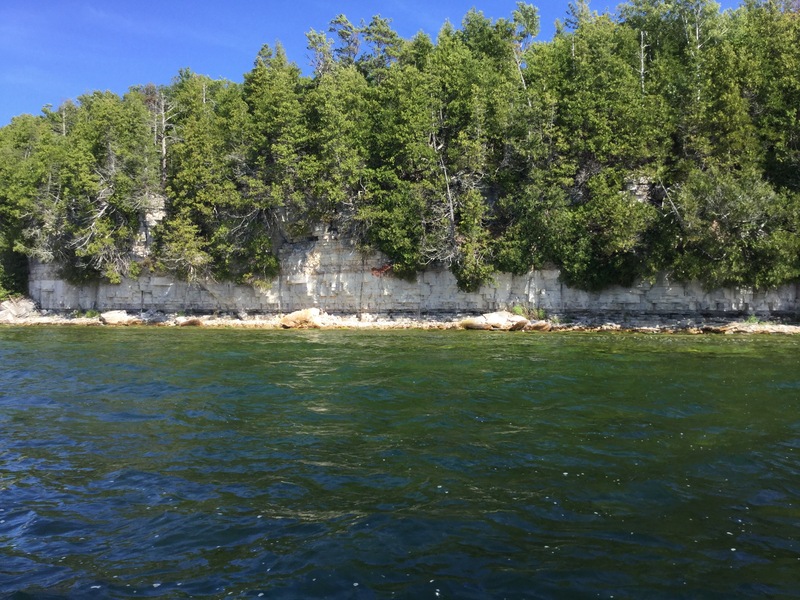 The film reconstructs ecosystems that existed when the dolomitic rocks of the Niagara Escarpment were formed, considers if dinosaurs ever walked in Door County, follows the path of glaciers, and many other major events in our geologic journey. Locations around the world are featured to show what Door County was like in the past. Animated sequences are called upon to illustrate parts of the story. The film helps to inform, enlighten, and guide us towards being better stewards of the land. In the spirit of Discovery Channel and National Geographic films, geologist and sustainologist Roger Kuhns produced this film for all ages. Kuhns has worked on the Niagara Escarpment and Great Lakes geology and ecology during the course of his career. Contact Roger to book a showing. Your film is spectacular, and I especially appreciate how local it is. I have read things like The Story of Earth, Annals of the Former World, Grasslands, Down to Earth, and then I search online for more that specifically pertains to Door County… So your film is invaluable in helping me to understand THIS place. The film “Escarpment” by Roger Kuhns presents a wonderfully detailed story of the Niagara Escarpment, but it’s so much more than this. The film illustrates the geologic foundations of the Niagara Escarpment in a way that helps the viewer understand the processes that have formed this important landform. He presents a fascinating narrative with a unique artistic flavor that includes sketches, animations, and stunning photographs and videos that show us the view from a geologist’s perspective. Roger says “Everything is connected”, and he really means it! The film illustrates the connections between to mountain building, erosion, oceans, glaciers, and even dinosaurs that will help you visualize Wisconsin’s history and understand the true meaning of the Niagara Escarpment. Roger – I just wanted to congratulate you on the success of your impressive film. Peg and I enjoyed watching it at the DCA yesterday and were seriously impressed. There is so much interesting and substantive information there that we will enjoy taking our time viewing the DVD as we work to understand better this wealth of knowledge. Thank you again for bringing this important work to us. I have no doubt it will be an important resource for many for years to come. I must tell you how much my husband and I enjoyed your film last night at the Fish Creek Auditorium. “Enjoyed” is hardly the word…I was transfixed throughout the movie! Yes, there was a lot of science, but aside from the mostly unfamiliar terminology I think your illustrations, examples, analogies, and humor made the material accessible to anyone who listened and watched carefully. On-site sequences shot at comparable locations were especially helpful. Even as remote a spot as Iceland! Anyhow, you did a superb job that inspired those who were there last night. That was wonderful! Congratulations! And what a turnout — 200? more? Great fun… Thank you for doing this. It really was heartening. What fun to have been able to attend your premiere!!! I know how much work a project like this entails and it showed!!! Esp. enjoyed the speeded-up drawing portions explaining the karst system. Now for that book, Roger.